Amazon’s Cyber Monday event is in full swing with thousands of deals lined up for the coming week. As you can imagine, pulling orders, packaging them and getting them out the door – often during the same day – is no easy feat but Amazon has a secret weapon up its sleeve that makes the task incredibly efficient. That secret weapon is robots. Amazon is employing more than 15,000 robots across 10 US fulfillment centers as part of a move designed to reduce operating costs by 20 percent and get packages in the hands of couriers more quickly. The e-commerce giant on Sunday invited media to check out its Tracy, California, warehouse which is about an hour east of San Francisco. It’s here that we get to see how Amazon is putting its $775 million acquisition of Kiva Systems to good use. 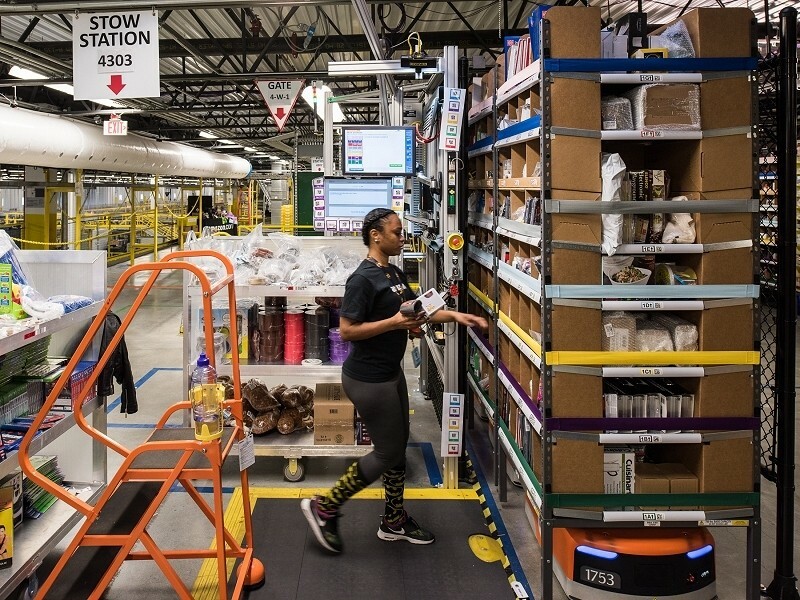 Amazon purchased the robotics company in 2012 but only equipped its warehouses with their robots this past summer in preparation for the busy holiday season. Resembling an oversized Roomba, the Kiva robots shuffle about the warehouse floor, guided by a grid that is invisible to the human eye. Instead of hand-picking items off a shelf, the robots actually bring the shelves to their human attendants. The shelf delivery system works both ways as it also allows workers to re-stock with new inventory without having to physically go out on the warehouse floor. These 4-sided shelves are several feet taller than the average person and can weigh upwards of 750 pounds but that does little to slow the 320-pound automated workers down. They eliminate the need for aisles on the warehouse floor meaning Amazon can pack more items into each location. As a result, the Tracy fulfillment center holds 21 million items – a figure that will swell to 26 million once the full Kiva conversion is complete. At present, Amazon can ship around 700,000 items each day from the facility. Following the rollout, they’ll be able to move upwards of 1.5 million products daily.